For the first time in history, people living in low- and middle-income countries have a higher prevalence of hypertension, or high blood pressure, than people living in high-income countries, according to new research published in American Heart Association’s journal Circulation. A 2010 data analysis involving more than 968,000 participants from 90 countries found that more than 30 per cent adults worldwide live with high blood pressure, and 75 per cent of those live in low- and middle-income countries. As per the study, there has been an improvement in awareness about hypertension and related problems in low- and middle-income countries, the control of the disease has worsened. High blood pressure cases decreased by 2.6 per cent in high-income countries while increasing 7.7 per cent in low- and middle-income countries between 2000 and 2010. 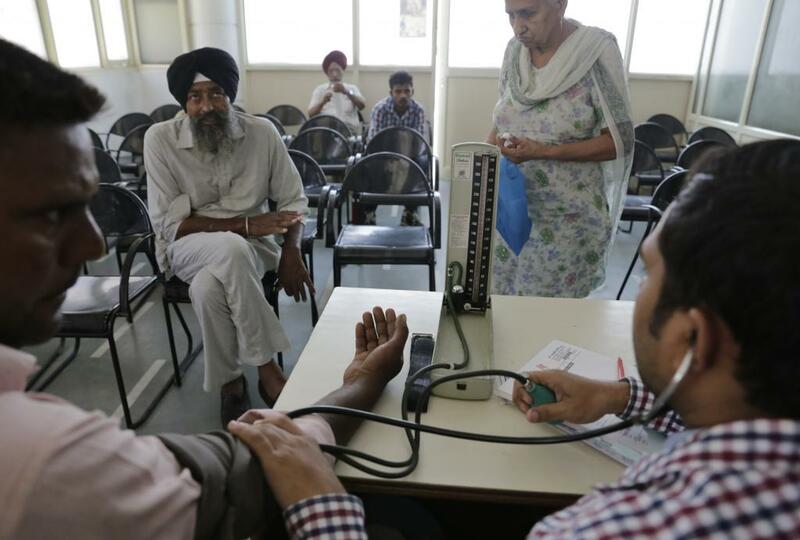 In India, overall prevalence of hypertension was 29.8 per cent as per a 2014 report. The frequency of cases in rural and urban India differed significantly, with 27.6 per cent rural population and 33.8 per cent urban population affected. Hypertension is a major risk factor for heart disease and stroke. It is also the leading preventable cause of premature death and disability worldwide. Past reports have shown that the prevalence of hypertension is increasing in low- and middle-income countries while it is steady or decreasing in high-income countries, but recent estimates of this global disparity are unknown. Aging populations and urbanisation, which is often accompanied by unhealthy lifestyle factors, such as high sodium, fat and calorie diets and lack of physical activity, may play an important role in the epidemic of hypertension in low- and middle-income countries,” said Jiang He, senior study author and researcher at Tulane University School of Public Health and Tropical Medicine in New Orleans. “Healthcare systems in many low- and middle-income countries are overburdened and do not have the resources to effectively treat and control hypertension,” he added.